Residents head for a medical station in Tacloban City in central Philippines, three days after the devastating Typhoon Haiyan hit the city. The death toll could soar well over 10,000. 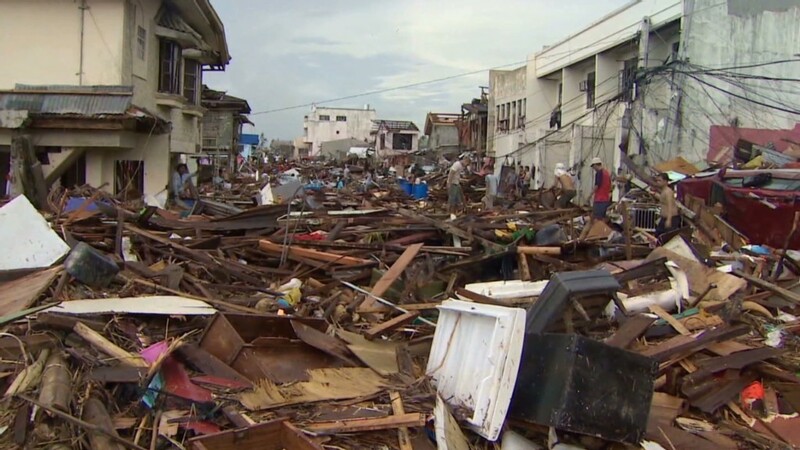 Companies, banks and the NBA are on a growing list of private-sector donors who have pledged millions of dollars to support relief efforts in the Philippines. Global banking groups HSBC (HBC) and JP Morgan (JPMPRD), and telecom giant Samsung have each offered $1 million in immediate assistance for the victims of Typhoon Haiyan, which ripped through the country Friday. Thousands have died and some 660,000 have been forced from their homes. More than 2 million people, including 300,000 pregnant woman or new mothers, need food aid, according to the Philippine government. The U.S. Chamber of Commerce Foundation, which is tracking corporate donations, had tallied more than $10.8 million in aid from dozens of firms as of Tuesday. HSBC said it was encouraging staff to donate food, water and medicines, and was mobilizing volunteers in the country to pack goods for distribution via the Philippine Red Cross. JP Morgan said early Wednesday it would also match employee donations up to an additional $250,000. The NBA and the NBA players' union have given a total of $500,000, half to UNICEF and half to World Vision, which has been flying in thousands of blankets and tarpaulins to provide temporary shelter. UPS (UPS) has pledged $1 million, along with transportation services and logistical assistance. Royal Caribbean Cruises (RCL), which employs nearly 13,000 Filipinos, is matching donations from employees in an effort it said would raise $1 million. Cash donations have also come from the IKEA Foundation ($2.6 million), Toyota (TM) ($480,000), BP (BP) ($200,000), Sony (SNE) ($150,000) and Nikon (NINOY) ($100,000). Other companies are offering their services or technology for free. FedEx (FDX) said it was working with a number of disaster relief organizations to help transport equipment and relief supplies to the worst affected areas. Air Asia and Zest Hotels are offering free flights and accommodation to aid workers. 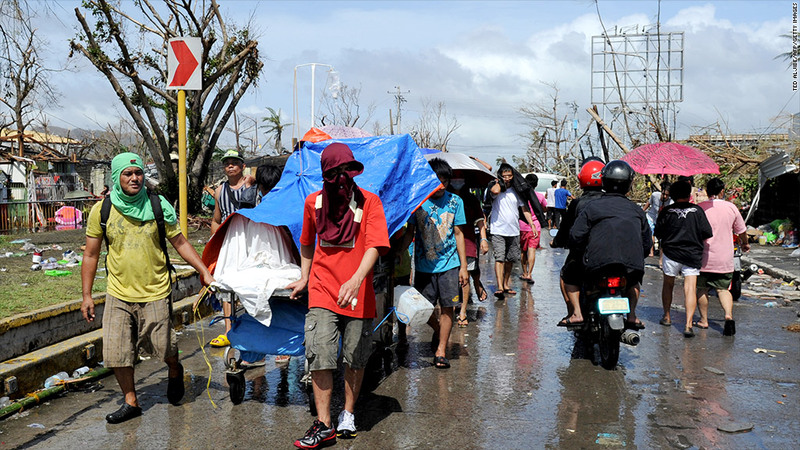 Vodafone (VOD) has sent a team of technicians to the Philippines to help install two portable mobile phone networks to provide emergency telecommunications, enabling relief organizations to respond faster. The company deployed a network to the Philippines during a typhoon last December. Almost 300,000 calls were made across the network in 17 days. National governments, meanwhile, had pledged nearly $50 million for Hayiyan relief as of Tuesday, according to the United Nations. Google (GOOG) has set up a web page with a search function for missing persons, as well as links to official government information on the disaster and the relief effort. Those interested in donating can make contributions to the American Red Cross through Apple's (AAPL) iTunes, or can go directly to the websites of the Philippine Red Cross, the World Food Program, UNICEF and CARE. -- CNNMoney's Melanie Hicken and CNN's Carol Jordan contributed to this article.